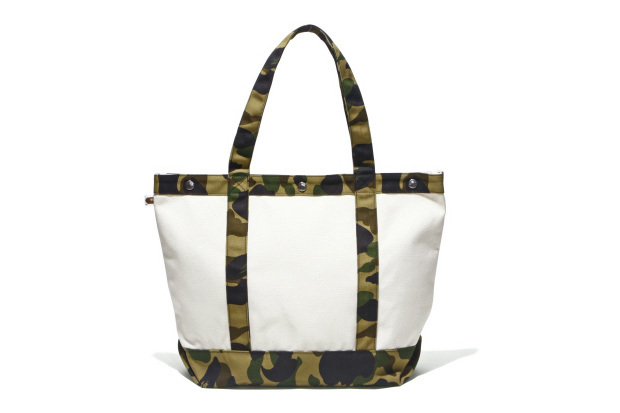 If you're in the market for a tote, try this A Bathing Ape one. I know the brand caters to a very niche street crowd, but I feel like this a product that might be appealing to the americana crowd as well. Featuring an american staple (camoflage) and a neutral off white base color, this bag can go well with many outfits. Check Bape retail locations in LA/NY and the bape website here.